RAT: Remote Access Tool, Remote Administration Tool, Remote Access Trojan; whatever you call them, all RATs are basically the same. They all allow a user to control one or more computers remotely. Sometimes this is important. Programs like StaffCop allow administrators to keep an eye on everything employees do on their computers. It allows administrators to capture keystrokes, watch employee internet activity, and even look at their email. Now, I’m not sure how popular this would be with employees. I’ve had some experience with being monitored at work. When I was working in Korea, there were cameras everywhere and you could be, and were, watched at all times. For some reason, this didn’t bother the Koreans, but the foreign staff found it intrusive. We eventually learned where the blind spots were. The use of StaffCop may produce similar problems. Besides, it doesn’t really stop employees from doing anything. If they are caught playing solitaire, for example, the administrator can warn them and that’s about it. The other problem is the legal one. The maker of StaffCop warns those who want to use it to tell employees up front about it and even have them sign off on this monitoring. Any secret monitoring would not hold up if the company was taken to court. However, StaffCop says there is no need for such precautions if one wants to do such monitoring privately, like, for example, monitoring your teenager’s use of the internet. Still, it seems a little creepy. And that’s the thing about most of these RAT programs. They may present themselves as being honest software, but they always seem to have a darker side. Galileo is such a program. As the makers note on their web site, “… encryption is widely employed to protect users from eavesdropping. Unfortunately, encryption also prevents law enforcement and intelligence agencies from being able to monitor and prevent crimes and threats to the country security.” So they’re trying to prevent bad guys from undermining the government, right? Well, in theory, yes. However, what if the government is the bad guy? The University of Toronto’s Citizen’s Lab found that the software “was reportedly used against a group of citizen journalists who are critical of Morocco’s government, as well as against a pro-democracy activist in the United Arab Emirates. More recently, journalists in the U.S. and Europe have reportedly been targeted, possibly by the Ethiopian government.” HackingTeam, the makers of the software, have a disclaimer that they only sell their software to acceptable governments. However, when I watch the video on their homepage, I can’t help feeling uneasy. But don’t take my word for it, watch the video and come to your own conclusions. Find out all system information, including hardware being used and the exact version of the operating system, including security patches. Darkcomet also has the ability to launch a DDoS (Distributive Denial of Service) attack. Why? Well, that’s a good question. Why would you want to bring down a server as a network administrator? Another function Blackshades has is something called Facebook Controller. This functionality was likely used by Abrahams to install the malware on his victim’s computers. Basically, it allows the user to post a message or link on a victim’s wall. Messages of a status change will then be sent to all the user’s friends. Obviously, these links could be used to install malware on an unsuspecting victim’s computer. Blackshades has a number of other questionable functions which finally pushed it into the illegal zone and into the arms of the FBI. Many users of the program reported, on deep web bulletin boards, that they were surprised to find police at their doors. They wondered how their purchase of the program could have been traced. Many claimed that they had, indeed, purchased the software, but had never put it to use. Could they be arrested for only owning the software? Didn’t it have legal uses? Others speculated that those traced probably paid using PayPal or credit cards. They claimed that these people would have been safe if they had used bitcoins. 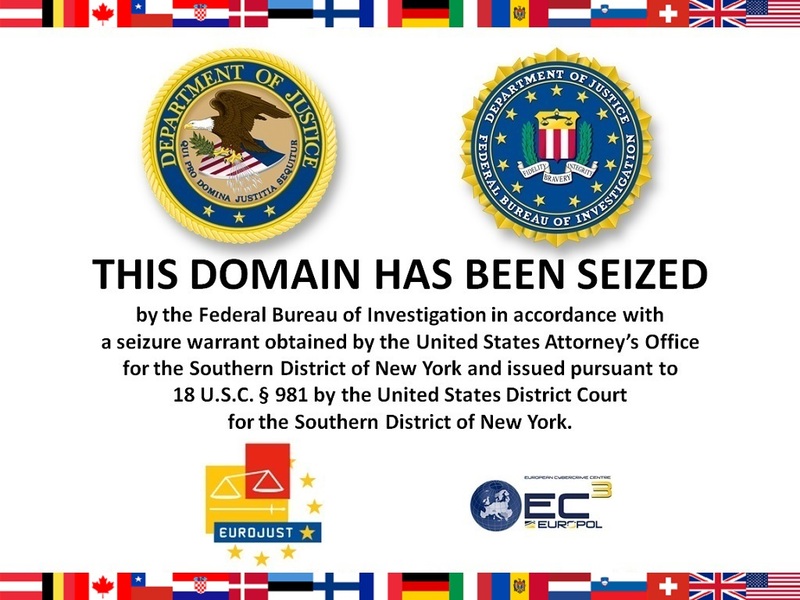 Some buyers of Blackshades just had their computers and mobile devices seized without knowing when, or if, they would be returned. The purpose behind all of this seemed to be to create nervousness about purchasing any RATs. The FBI is well-aware of how dangerous these programs can be. Yet, there is one more RAT that the FBI itself may use. This is a Super RAT known as Flame. As those who discovered it in 2012 stated, Flame was “the most sophisticated malware we encountered during our practice; arguably, it is the most complex malware ever found.” According to the Budapest University of Technology and Economics, one of those who discovered it, Flame most likely was “developed by a government agency of a nation state with significant budget and effort, and it may be related to cyber warfare activities.” Kaspersky Labs, another one of the discoverers of Flame, stated that, “due to the size and complexity of the program (described as ‘twenty times’ more complicated than Stuxnet) … a full analysis could require as long as ten years.” It’s similarity to the Stuxnet virus and the fact that it seemed to target Middle Eastern sites, especially in Iran, leads some investigators to conclude that Israel and the U.S. were behind its development. In action, it does everything that any RAT can do but with more sophistication. “Flame can spread to other systems over a local network (LAN) or via USB stick. It can record audio, screenshots, keyboard activity and network traffic. The program also records Skype conversations and can turn infected computers into Bluetooth beacons.” This bluetooth functionality allows it to control other devices in the area. In addition, “the operators have the ability to send a kill module to it if needed. The kill module, named browse32, searches for every trace of the malware on the system, including stored files full of screenshots and data stolen by the malware, and eliminates them, picking up any breadcrumbs that might be left behind.” Flame existed for 3 to 4 years before it was detected. Flame has not, however, truly been extinguished. It is suspected that there are other varieties of it operating, undiscovered, somewhere in the world. The good news for the average user is that they are unlikely to be infected by Flame. The bad news is that there are plenty of other RATs waiting to pounce. RATs are easily detected by most anti malware programs. This is why the first thing a RAT will do is disable the antivirus program but, to do this, a RAT must trick you into installing it. How is this done? Normally, by getting the unsuspecting user to click on some link. Abrahams probably got women hooked by using Facebook. He even asked someone to help him with a social engineering attack. That’s another bit of good news to average users. The people who use such programs either lack social skills or are nonnative English speakers. Look at the ransom note in Blackshades and you can see that its grammatical errors should make you suspicious. The bad news, Blackshades allows you to send your own written message. In my opinion, the destructive potential of RATs has not been fully exploited. Their use has, so far, been limited by the imagination of their users. But there is no way of knowing this for sure. A good RAT will gather the information it needs and leave before it is ever detected. Nonetheless, if such attacks begin to be more sophisticated, especially in their spear phishing techniques, they could be devastating in their severity. RATs will always be with us. They are difficult to exterminate completely. The best advice is to be vigilant to avoid being caught in the traps the RATs will set to catch you. One infected computer, smartphone, or tablet can bring down your entire network. To avoid this, contact InZero Systems to construct a hardware-based security system for you that will not allow even the most RAT infested computer to gain access to your corporate data. Posted on May 26, 2014 June 1, 2014 by Steve MierzejewskiTagged Abrahams, blackshades, darkcomet, flame, Galileo, malware, Miss Teen America, RAT, sextortionist, StaffCop. Previous Previous post: The Buck Stops There: Who is Ultimately Responsible for a Security Breach?